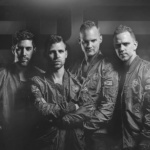 Code Black has played events such as Defqon.1, Mysteryland, Tomorrowland, HardBass and Decibel, being estimated as one of the greatest talents Hardstyle has to offer. Lately, tracks like ‘Can’t Hold Me Back’ and ‘Brighter Day’ have confirmed the outstanding skills of Code Black as one of the top Hardstyle producers. His stage presence and fresh musical ideas are contributing to his status, being well respected among colleagues and supported by a fast growing worldwide fan base. ‘Brighter Day’ is yet another masterpiece and is already a huge success of 2013, gaining massive support from his colleges and being picked up by day-time dutch radio station SLAM-FM for their TOP40 playlist, reaching a peak of number 8 in the TOP40 chart after 8 weeks! Code Black succeeds in combining epic melodies with raw edgy production and an overall awe-inspiring atmosphere to his tracks. It’s the result of his talent and perseverance to be unique with his music, as well as a sensitive understanding on how to perform in a live environment and balance his sets that get’s the crowds moving. Be prepared for another big year from Code Black! Code Black has performed at major events such as Defqon.1, Mysteryland, Tomorrowland, HardBass and Decibel.